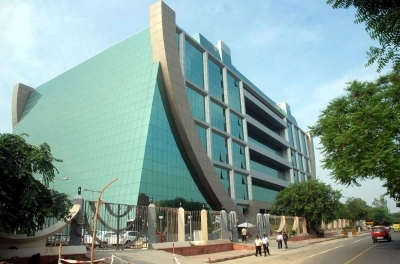 New Delhi April 11 (IANS) The CBI on Wednesday said it had seized 81 artefacts from south Delhi and registered a case under the antiquities law against an individial and other unknown persons. The Central Bureau of Incvestigation (CBI) said its team searched a building in East of Kailash on Tuesday following a tip-off and seized around 81 artefacts that were suspected to be antiquities. "During the search many sculptures depicting gods and goddess of different religions were seized. When Subodh Dalal owner of the premises was asked he said most sculptures were registered with various ASI (Archaelogical Survey of India) offices in Uttar Pradesh and that he will apply for registration of the remaining ones. "He also produced the registration certificates of certain antiquities. After inspection ASI officers confirmed these were antiquities " the CBI official said. The official said that the ASI officers doubted the genuineness of the registration certificates produced by Dalal on the basis of their serial numbers and date of registration. "These certificates bear addresses of properties in Lucknow Mathura and Vrindavan. But the antiquities were found at Sant Nagar premises in south Delhi " the official said. A case was registered against Dalal and others under the Antiquities and Art Treasures Act of 1972 and the Indian Penal Code. "... certain antique pieces of deities and other articles were acquired illegally through fake registration certificates. These antiquities were said to be stolen from unidentified places of historical importance and archaeological excavation sites " the official added.